Everyone who has studied basic school mathematics has at one time or another stumbled upon the number Pi, more commonly recognized by the symbol π. π is calculated to be the ratio of a circle's circumference to it's diameter. What's interesting is that this ratio remains the same, regardless of the size of the circle. However the number is irrational and goes on forever till infinity. The value of π is 3.14159265358979..... and so on till infinity. Now to be honest, I had never given much thought to the value of π because I have used it so many times in Math classes from school through university. When you get used to something, it becomes a norm, you tend to take it for granted. It doesn't occur to you that π may have any significance apart from solving various formulas like finding the area of a circle or the volume of a cylinder. Today however, π intrigued me. This is because today the world is celebrating π. 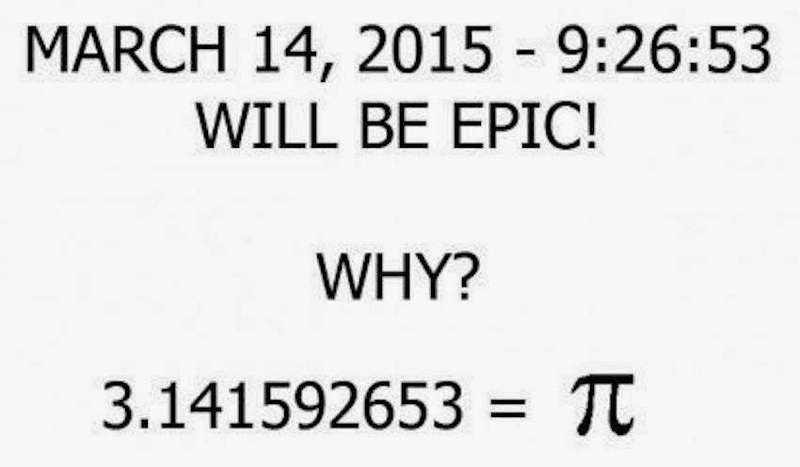 How intriguing that March 14, 2015 at the time 9:26:53 is the same value as the first ten digits of π. It is as if π is indignantly proclaiming it's right to be noticed, especially when it has such an integral role in Mathematics. So what does God want us to know about π? I have always felt that mathematics plays a mysterious role in the universe. Let's learn a bit more about π and maybe we can try to grasp it's significance. Some people claim that π is almost 4000 years old, though it only came be officially known as π in 1706 when a mathematician William Jones published his work 'A Summary of Achievements in Mathematics,' and came up with the symbol π to represent the irrational infinite number 3.141592. However much before that, Archimedes of Syracuse (287-212BC) is said to have come discovered this number for the first time while other ancient texts such as the Rhind Papyrus (1650 BC) and an ancient Babylonian tablet (1900-1680 BC) also talk about π. Now that we have covered some history, lets analyze why Pi is so special. It is irrational, but there are other equally special and important irrational numbers in Mathematics such as the base of natural logarithms denoted by 'e', the under root of 2 and even the golden ratio 0.618.....π is unique. There is the compelling paradox that π is so random that the next number in the sequence has no pattern to the previous one, yet it is encompassed in the epitome of mathematical order, a perfect circle.Observe the image of the progression of the first ten thousand digits of π below. Logically one would expect randomness to exist in a state of chaos but instead what we stumble upon is pure symmetrical aesthetics. π is not just confined to Mathematics. In the world of physics, it plays a role in Heisenberg's Uncertainty Principle and the Schrödinger wave equation which explains behavior of particles on an atomic level. Then there is the de Broglie hypothesis that states all matter in the universe is actually a wave. When we look at waves, we automatically think of cycles, and rhythms. π is also present in the formula for the Fourier Series. So what all this concludes is that π is everywhere, within the helix of the DNA, within the circular orbit of the stars, within the motion of the cascading rivers to space and time beyond. Since we are speaking about physics, it seems appropriate to mention here that the most famous physicist Albert Einstein happened to have been born on 'Pi Day' or 14th March. Interesting coincidence indeed. 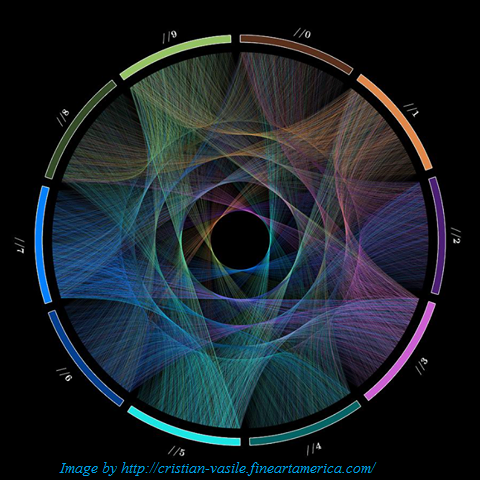 The allure of Pi is that it is present everywhere, and within it are woven mysteries which we may never be able unfold. Isn't that the beauty of the universe itself? To reveal enough that is needed and leave the rest to unfold in our imagination. 14th March is indeed a day worth celebrating.